So goes the memorable exchange between Tom Cruise and Jack Nicholson in the 1992 movie A Few Good Men. We, at least most of us, sympathize with Cruise’s character, a hotshot attorney, going face-to-face with the hard-core lifer Colonel Nathan R. Jessep (Nicholson). Cruise is relentless in his pursuit of the truth, risking his reputation and career, challenging the “system.” Pushed to the limit by the young buck, the testy Jessep throws down the gauntlet; Do we really want the truth? Aristotle was smart, a legendary genius. But he was wrong about one thing. The wise old Greek philosopher taught that heavier objects fall faster than lighter ones. In the context of his day, this “observation” seemed obvious. Aristotle attributed the speed of a falling object to its proportional weight, with heavier objects falling faster than lighter ones. Galileo, and the advancement of science, proved that wrong. We now know that the equivalence principle proves all objects fall at the same rate within a gravitational field. Aristotle was big time wrong. Such overthrows of science, certainly not trivial, are powerful course changers. Armed with scientific principles, it is an expectation that science, both at the periphery and the core, finds itself challenging a many conventional and accepted thoughts. In fact, right now, in a classroom somewhere in the world, a student is preparing to challenge some formula, doctrine, or axiom. Armed with a theory and solid research, this dedicated scholar might just create a power struggle between what was once assumed to be true, and what has become clearer and course altering. Galileo, one of the greatest scientific minds of all time, was willing to challenge the status quo of the day. Galileo challenged the Catholic Church’s view—and the contemporary perspective—of the earth’s role in the cosmos. He dared to contest the position of a geocentric world with the “new” truth of a heliocentric model. The Church at that time couldn’t handle the scientific truth. I want you to try a thought experiment. Find a quiet and comfortable spot where you can close your eyes and imagine that you believe leaders are made, not born, and that you’ve implemented a leadership developmental program for all your student-athletes. Invest two minutes of thought. No more, no less. What does it feel like nurturing and cultivating the seed of team leadership? Okay, back to reality. You just spent two minutes defying conventional wisdom. Nearly all “captain” training programs are grounded in the assumption that we only need a few team leaders. What I know is that many of you struggled with the idea of a leader in every locker. After all, the world presents the framework for developing only the chosen few to assume leadership roles and responsibilities. It is, at least at the outset, much more efficient. But today we know so much more. Let’s face it; a leader in every locker is heresy to most coaches. Remember the lesson from Galileo; genuine challenges to established wisdom cause turmoil. They discredit the establishment and its undeniable “truths.” When Galileo, telescope at his side, publicly challenged the geocentric view of the universe, he was arrested, tried, and imprisoned for this act. Heresy said the masses. So, the traditional practice of team captains marches on. Most coaches focus on the selection process rather than the development process. I’ve heard great stories of how coaches select team captains. Some hold interviews, others rotate captains for games, and some let the team select team captains. But however you slice it the focus is on selection rather than development. Moreover, a selection perspective, focused on player attributes, conflicts with the developmental perspective and its focus on possibilities and opportunities. Does the selection process work? Maybe. But what if everything you learned is wrong? Fortunately, objecting to new ways of thinking and acting in the world are less dangerous today. My research findings are clear; a leader in every locker trumps a few leaders in a few lockers. 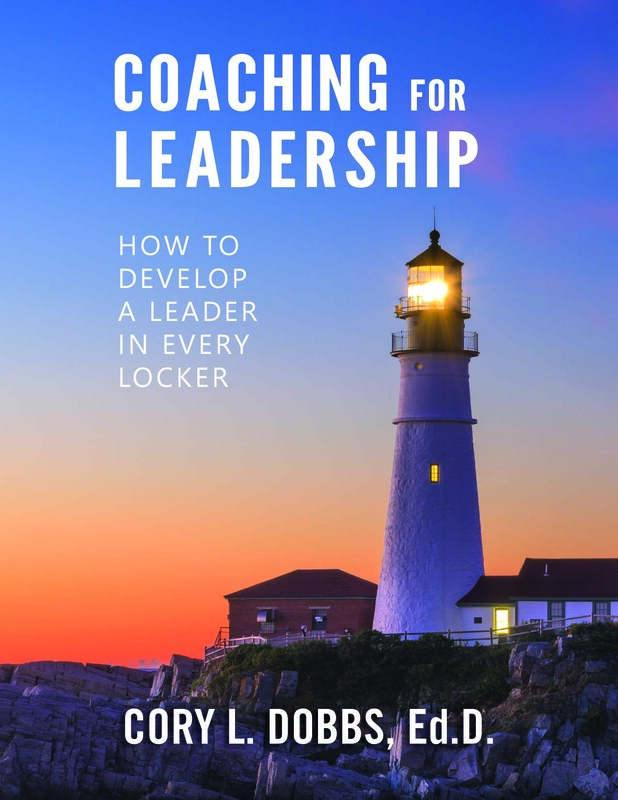 After years of investigation into “doing leadership development,” I am convinced that team sports demonstrate that you can take the approach of a leader in every locker from a thought experiment into a real-world competitive advantage. Today, we know that everyone can, and will, become a leader; even if it’s simply in their own household as a parent. The other known is that leadership can be taught—and learned. While everyone comes to the table, locker if you will, with a different set of personality traits, it is the ability to learn from experience and the desire to be open to continuous learning that helps each student-athlete find their “hidden” talents. Rather than classifying student-athletes as “leaders” or “non-leaders,” why not change your driving assumption to everyone can learn and grow in ways that will make them more effective in the various leadership roles they might take on. 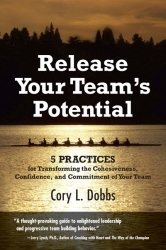 Dr. Cory Dobbs is a national expert on sport leadership. An executive, speaker, consultant, and writer, Dr. Dobbs has established The Academy for Sport Leadership as a leader in curriculum and program development for developing student-athletes into team leaders. A former basketball coach, Dr. Dobbs basketball coaching background includes experience at the NCAA Division II, NJCAA, and high school levels of competition. The Academy for Sport Leadership’s model for development is a road-tested results driven framework for helping coaches coach for leadership and student-athletes learn how to lead. Dr. Dobbs has taught at Ohio University, Northern Arizona University, and Grand Canyon University. Next → Next post: When Does Leadership Begin?